It's a great time of year! Summer is almost here and it's under two months until my birthday! The other amazing thing about this time of year is Vegan Festival time. Next weekend is the start of my East coast Vegan Festival tour and I hope to see many of you when I'm in your home town or when you've come to whatever town the vegan festival is in. The biggest news on the festival calendar, is Canberra's first all-vegan festival,the new Living Green Festival taking place on Sunday 16 October. Living Green Festival, Canberra: Sunday 16 October. I'll be speaking at 2:30pm on Promoting Veganism. Please support this new vegan festival however you can. 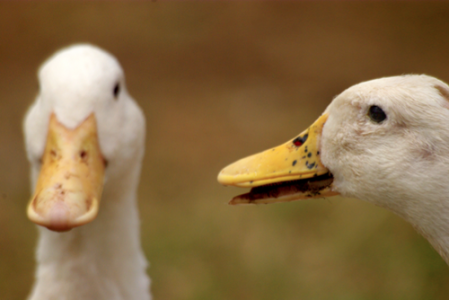 The Animal Activists Forum takes place in Melbourne at the Abbotsford Convent on Saturday & Sunday 22-23 October. I'll be speaking on the Vegan Mainstream panel. There is also a trip to Edgar's Mission and a Social Dinner organised for the weekend. Cruelty Free Festival in Sydney is my favourite of all the vegan festivals. I have been attending since the first one, 5 or 6 years ago! Taking place this year at the end of October instead of the beginning of November (World Vegan Day & Cruelty Free Festival swapped dates this year) on Sunday 30 October. I'll be emceeing on the main stage (with Tom Ballard) again this year. 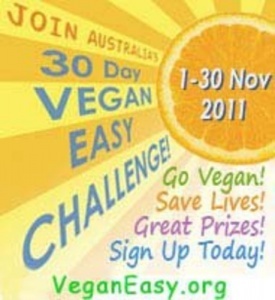 Viva la Vegan!has been one of the sponsors for the amazing Vegan Easy Challenge each November and also March this year. I have blogged about the challenge HERE and HERE previously. The Vegan Easy Challenge is similar to the Veg Pledge in which people are encouraged to try the vegan diet and lifestyle for the month of November. The VeganEasy website also has an amazing recipe section. 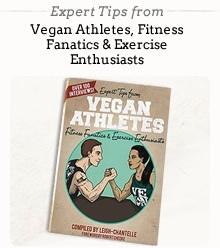 This is a great way to get your family and friends to see how easy it is to be vegan. Cruelty Free Festival takes place in Perth on Saturday 5 November. I have never attended this as it's always on the same weekend as the Sydney Cruelty Free Festival but I have heard good things about it. World Vegan Day in Melbourne is Australia's biggest vegan festival due to the huge population of vegans in Melboure. Taking place once again at the Abbotsford Convent on Sunday 6 November. I'll be speaking here too. 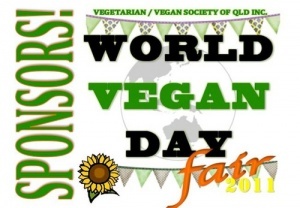 There is also the first World Vegan Day Fair taking place in Brisbane on Sunday 6 November. The Vegetarian and Vegan Society of Queensland are organising this. See their FaceBook page or their website for more details. The Alice Springs Vegan Society are also having a Picnic on the same day to celebrate World Vegan Day. See their FaceBook page for more information. Here's the list of other Worldwide events to celebrate World Vegan Day - November 1 - from the Vegan Society UK. Last but by no means least is the Vegan Festival in Adelaide on Sunday 13 November. Unfortunately I won't be able to make this year's event after being a month on the road at the Living Green Festival in Canberra, Animal Activists Forum in Melbourne, Cruelty Free Festival in Sydney and returning to Melboure for World Vegan Day to finish off my vegan festival tour. Phew. Do you think you can keep up? !